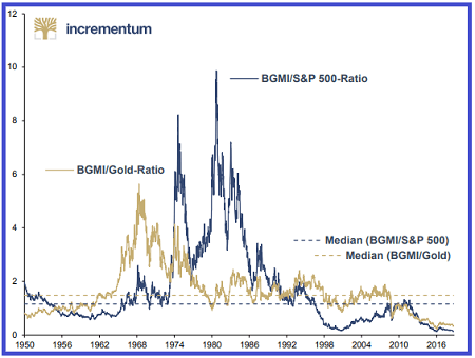 A Coming Flood Of Treasuries And An Epic Gold Rally? “When it starts to happen, I think it could happen a lot more quickly than people realize.” The rest of the world is methodically “weaning” itself off its dependence on the U.S. dollar. Perhaps the latest EM collapse will accelerate this reset. At the same time, the U.S. Government is on track to issue a record amount of Treasury bonds to fund its rapidly expanding spending deficit. Who is going to buy these Treasuries? When the bid for Treasuries disappears, the dollar will begin to collapse, gold will soar. Demand will far exceed supply as the price rises and the paper gold shorts will be slaughtered. 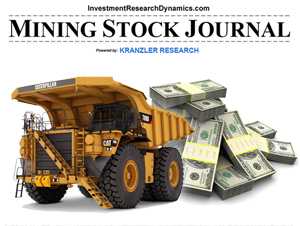 In the next issue of the Mining Stock Journal, I analyze the latest COT report and present the price-point at which hedge funds will start to cover their large short position. 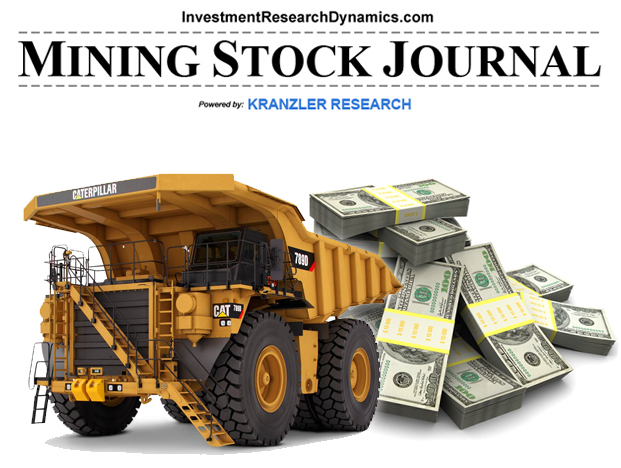 I also update my favorite junior mining stock ideas and present my favorite shorter term trading plays. You can learn more about this here: Mining Stock Journal information. I felt compelled to clarify the commentary out “there” discussing the non-commercial short position in gold. An interviewee on one of the widely viewed precious metals and economic websites referenced the record “speculator” short position in Comex gold futures. The image above shows the latest disaggregated COT report. The disaggregated COT report debuted in October 2009. Disaggregated data was made available going back to June 13, 2006. Previously the report was separated into “Commericials, large speculators and non-reportables.” The large speculators were the “managed money and other reportables.” The “managed money” is primarily hedge funds. No one outside of the Comex operators can say exactly what the “other reportable” category is (many attempts have been made to get clarification over the years). It’s likely larger pools of non-institutional capital like family office money and wealthy foundations. The “non-reportable” category is retail accounts. I will note that when JP Morgan was caught and fined for mis-reporting the Comex silver futures trades it clears, the bank was caught stuffing trades that belonged in the “swap dealer” account into the “other reportable” account. This clarification is important to point out for two reasons. First, as you can see, in the non-commercial trader accounts, the hedge funds comprise the entire amount of the non-commercial/non-bank net short position. The Other Reportables and Non-Reportables are net long. In fact, the Other Reportables increased its net long position last week. Second, not only is the hedge fund net short position at a record level, the “Swap Dealer” (i.e. the banks) account is close to an all-time net long position at 31,259 contracts. Based on the historical disaggregated spreadsheet maintained by my business partner, the only time the bank net long position was larger was a two-week period in December 2015 (12/15 – 32,550 and 12/22 – 31,692) and a two-week period in July 2017. However, during the July 2017 period, when the swap dealers were net long at a record level, it was also accompanied by a net long position by the hedge funds. Overall the commercial category in mid-July 2017 was still short over 70,000 contracts (the “producer/merchant/processor/user” commercial category includes bank positions that are theoretically not used to hedge). I wanted to clarify the issue with the COT report because it’s important to note that the banks are almost always right with their gold futures positioning and the hedge funds are almost always wrong. The implication of this is obvious. 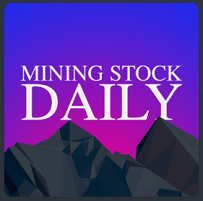 Mining Stock Daily can also be accessed using Amazon Alexa, Google podcasts and Apple i-Tunes. “We’re now forecasting slower revenue growth for the third quarter based on an unexpected drop in Redfin’s bookings growth in the past three weeks, slowing traffic growth in a weakening real estate market.” – CEO of Redfin (RDFN) on the earnings conference call. Redfin stock plunged 22% after it reported its latest quarter this past Thursday after the market closed. 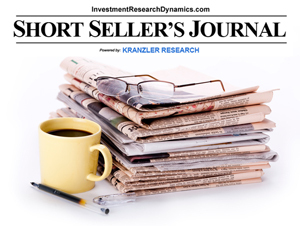 I’ve been recommending RDFN as a short for several months in my Short Seller’s Journal. Several of us who stick our neck out in public with analytic opinions on the market have been thinking that gold has reached a tradable bottom. I’m sure many would say that view is flawed based on today’s action. Let me preface my thoughts by saying that, over the last 17 years of daily active involvement in the precious metals sector, I don’t pull my hair out over intra-day or even intra-year volatility. Measured from the beginning of 2002, gold is up 441% while the S&P 500 is up 158%. The point here is that, given how easy it is to print up paper gold contracts and flood the market, the price of gold can do anything on any given day. If you want to own gold for the reasons to own gold, you have be play the long game. The mining stocks do not seem to care about the day-to-day vagaries of the gold price right now. You shouldn’t either. 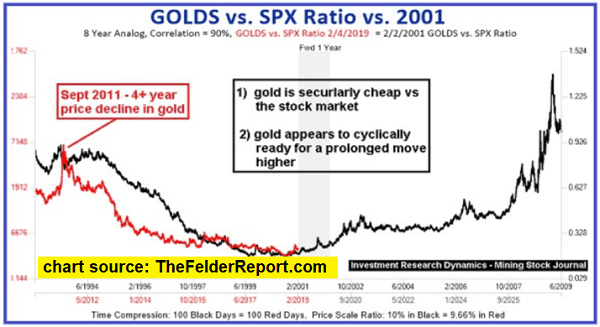 The trading pattern in gold is somewhat similar to its trading pattern in the summer of 2008, right before the great financial crisis (de facto banking system collapse) was set in motion. The price of gold was taken down from $1020 in mid-March to $700 by October, while the financial system was melting down. That set up gold’s record run to $1900 over the next three years. It’s becoming obvious to anyone who chooses to not put their head in the sand or become intoxicated with the copious amounts of official propaganda, that the U.S. Government is technically bankrupt and the financial bubbles fomented by a decade of money printing, credit creation and near-zero interest rates are about to explode. It’s not coincidental that gold was slammed ahead of Congressional testimony by Fed-head Jerome Powell, one of the primary propaganda-spinning hand-puppets. Gold started rolling downhill after the London a.m. fix. Right after it. The cliff-dive occurred as the Comex floor was opening. This is a pure paper operation. It’s either the hedge funds or the banks piling into the short-side of the market by flooding the market with paper gold and hitting all bids in sight. The managed money category of trader segment in the COT report has been getting net short and more net short the last two weeks. Hedge funds could be shorting even more paper gold, trying to push it further downhill to book profits on their shorts. OR it could be the banks piling into the short side but hide this by booking the trades they report to the CME (daily o/i) and the CFTC (weekly COT) into the managed money trader account in the COT report. The latter is entirely possible. JP Morgan was already caught once doing this in silver. If you don’t trust the Government to report the truth, why would you trust the banks to report the truth? After all, the banks ARE the Government. Today’s action has nothing to do with the $/yuan to gold relationship or the $/yen to gold relationship. The dollar is higher and gold usually trades inversely to the dollar. 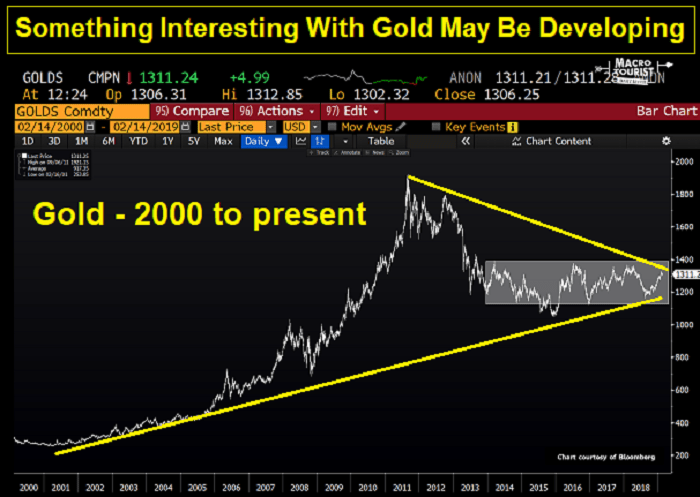 Gold likely is being managed like this to help disguise the coming financial and economic bombs that are set to explode – just like in 2008. We’re dealing with a system in which banks and other big corporations control the Government and there is no RULE OF LAW whatsoever. Think about what you would do if you completely lacked a moral compass and were in control of the system, to a large degree. You would do exactly what they are doing. And I’m not talking about just gold. It’s everything. They have used debt to put the squeeze on the population.